Southtree asked us to update their web styles to reflect their more vibrant product imagery. We wanted to create a new UI Kit that had clear CTAs and true accessibility to a largely mobile, 45-54 year old audience. 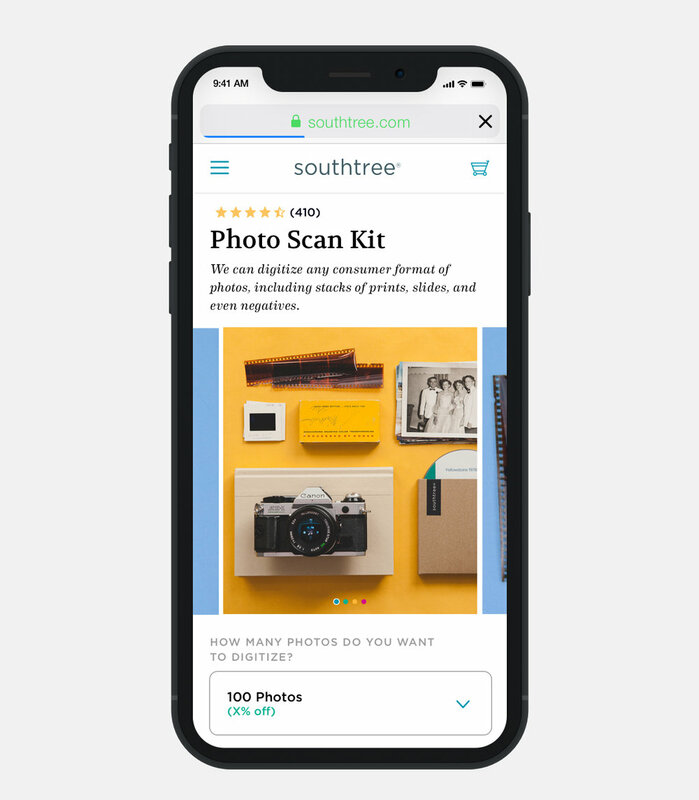 The second level to the challenge was to more clearly communicate on product pages what output the customer would receive upon purchasing Southtree's service. Southtree converts old video, audio and photographic memories into digital files. These files can be received via thumb-drive, DVD and access to the cloud. We developed a mobile first, step by step approach on PDPs to help illuminate confusion leading to Customer Service calls as well as to improve AOV. Within the first month we saw a 33% increase in AOV.